If space is what you are looking for at a great location check out this 4 bedroom 4 bathroom home in Big River Estates close to Hwy 67. 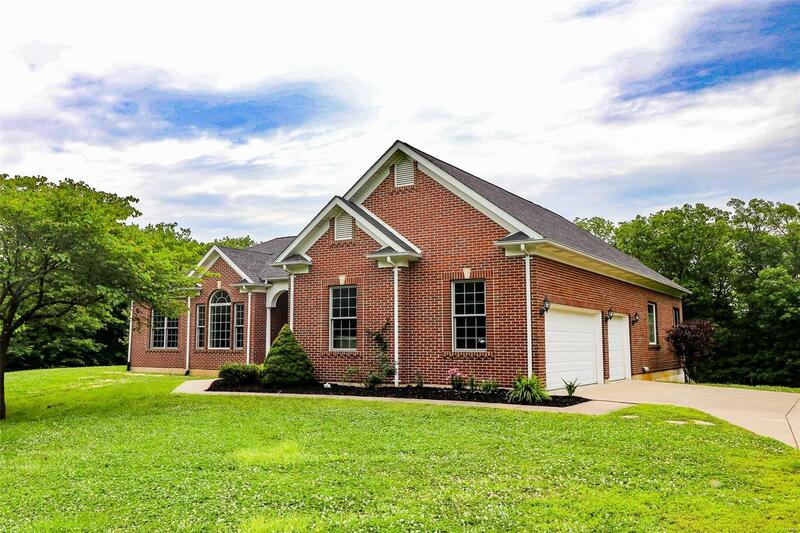 Over 4000 sq feet of living space with an over sized 3 car garage sitting on M/L 3 Acres. Home has many fantastic features including vaulted ceilings, wood floors, a jack and jill bathroom between the two bedrooms on the main level and much more. Master Bedroom Suite includes a 6x6 walk-in closet with separate whirlpool tub and shower. Basement features 2 more bedrooms with a full bath, Large 52x26 finished area to use how you would like and 4 separate storage areas including a 16X5 vault room. Home has lots of privacy on a level lot. Schedule your showing today!